"..Arthaland Pacific Tower Currently, there are 36 Berde-registered projects representing a total gross floor area of 1,129,490 square meters. Companies that trust Berde for their building projects include: Maynilad Water Services, Mañosa Properties ..."
"..HT Land Corp., Ayala Land Inc., Filinvest Land Inc., Laguna Lake Development Authority, The Net Group, De La Salle University, Monocrete Construction Philippines, Aseana Holdings, Keyland Corp., Filinvest Alabang Inc., Cebu Land Masters, Prescon and RSP ..."
"..De La Salle University, Monocrete Construction Philippines, Aseana Holdings, Keyland Corp., Filinvest Alabang Inc., Cebu Land Masters, Prescon and RSP Lim Construction Company. 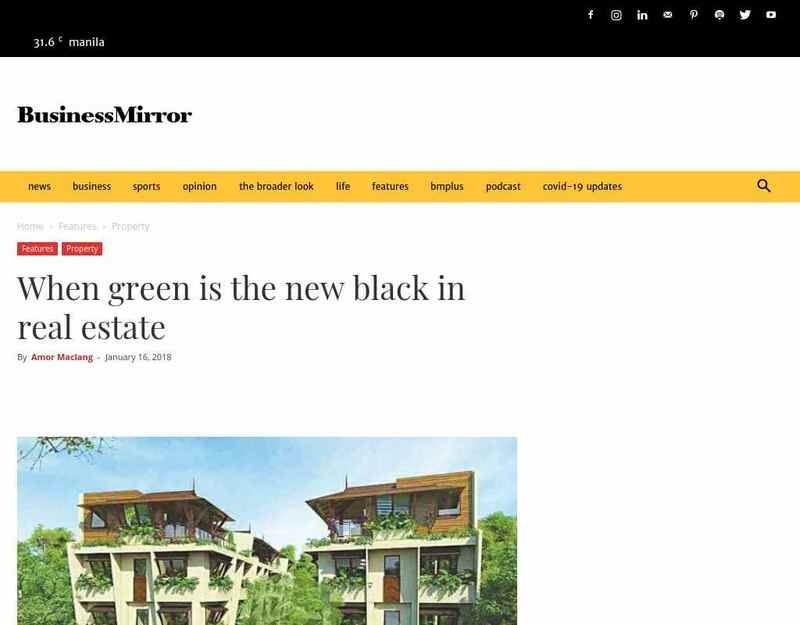 In his congratulatory speech, BK Sinha, vice chairman of the WorldGBC-APN and ..."
"..Rufino, together with the leaders from the World Green Building Council--Asia Pacific Network (WorldGBC-APN ... The Net Group, De La Salle University, Monocrete Construction Philippines, Aseana Holdings, Keyland Corp., Filinvest Alabang Inc., Cebu ..."
"..The Philippine Green Building Council (PHILGBC) officially launched the Berde Green Building Rating System (GBRS) v2.0.0 during the National Conference on "Collectively Shaping our Nama for the Building Sector," a conference copresented by the PHILGBC ..."